Frank Ibarra and Jorge Calleja joined forces in 1998. They believed in a vision of innovative wealth management that saw the value a team can provide. 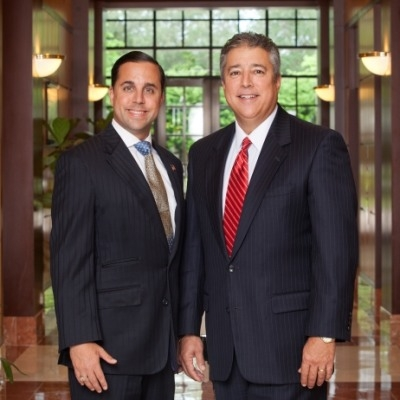 Frank and Jorge believed that by combining their expertise and experience, they could offer their current and future clients a higher level of service and a more effective approach to the management of their wealth. The Ibarra Calleja Group will work with you to help you preserve and grow your wealth, relying on the insights of seasoned investment professionals, a premier trading and execution platform, and the full spectrum of investment strategies. Why Choose The Ibarra Calleja Group? We promise to accept only those clients whom we can properly service and only those where our resources and collective experience can add measurable value to their lives. Our team is open, honest, and a demonstration of mutual respect and honor, we challenge every idea and discuss all options to ensure that only the best ideas rise to the top. We see the value in having authentic interactions and strong relationships with our clients. We strive to build bonds that extend beyond the business setting. As guardians of our client’s family, wealth, and legacy, it is our honor and duty to safeguard their interests, ensuring that we offer the most relevant and effective strategies for their families. In the end, what will matter is what we created, was it built on a foundation of integrity, open communication, and trust? Did the lasting legacy that we and our clients together created make us proud? Our world-class talent and global resources are among the most sophisticated and extensive available. The Ibarra Calleja Group Wealth Advisors use rigorous analytical tools and models to create customized solutions based on the complex needs of each family, endowment or foundation. Clients include individuals, couples and families located across the country, with a majority concentrated in Florida. We work with current and retired corporate C-suite executives, professional athletes, entrepreneurs and business owners. We have assisted several clients who have started, built and then sold companies, or taken them public. We also work with a number of Nonprofit organizations, Foundations, and Corporate Retirement Plans in helping them achieve their goals. 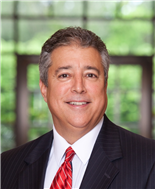 Frank Ibarra is an Executive Director with Morgan Stanley. Frank joined Morgan Stanley in 1979 at the age of 21. 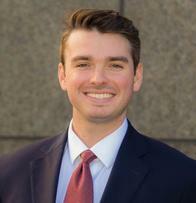 Prior to joining the firm, he attended the University of Miami School of Business and Florida International University. With over 37 years of experience in financial services, his guidance and focus is on asset allocation strategies, equity selection, alternative and structured investments. An integral part of his practice deals extensively with issues relating to trusts and estate planning. Over the years he has dedicated his practice to serving the financial needs of high net worth individuals, families, foundations, endowments and retirement plans. By concentrating on this segment of the market he and his team can dedicate the requisite resources necessary to properly allocate, invest and service those individuals, institutions and families that rely on his experience and expertise. Frank is a current member of The Society for Neuroeconomics, an interdisciplinary field that seeks to explain human decision making, the ability to process multiple alternatives and to follow a course of action. He is also on the Board of Trustees of St. Matthews House as well as past President and member of the Board of Directors of Opera Naples. Frank is also a member of Morgan Stanley's elite Chairman's Club. Frank is an incessant reader, often reading two or three books at a time. He enjoys fishing and gardening for relaxation and horseback riding on the family farm where Frank and his family spend weekends. Frank has been married to his wife Martha since 1992 and has been a permanent resident of Naples since 1995. He is the proud father of two daughters. 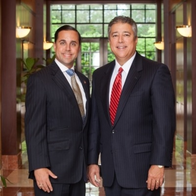 Jorge Calleja is a Senior Vice President who joined the firm in 1998 in the Naples office. He is a member of the Morgan Stanley*’s Masters Club and a founding member of the Ibarra Calleja Group. 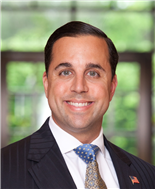 Mr. Calleja is an accredited Wealth Advisor, and for more than 19 years he has worked to develop high level taxable and tax-advantaged bond strategies. More and more investors are seeking the presumed safety and predictability of bonds. Yet huge concerns exist, in part, due to the fact that interest rates are at an all-time low, as well as a lack of confidence in the bond rating agencies. Rarely has there been a time like this where true in depth knowledge and expertise in fixed income has been so critical. He believes there is a time to be strategic (long-term), but there is also a time to be tactically minded. Although based in Naples, Mr. Calleja travels much of the summer to the Midwest and Northeast meeting with clients and prospective clients. His clientele includes high net worth families, individuals and institutions. He believes that through knowledge, understanding and education, he can empower his clients to make better and more informed decisions. He is married to his high school sweetheart Gisselle and they have two children.